Final preparations are being made for the 2017 Orkney Storytelling Festival, which will get underway across the islands on the 26th of October. It’s been called the little festival with the big heart - a celebration of oral tradition that has earned a worldwide reputation, thanks to its warmth, inclusivity and unique community atmosphere. Since its resurrection in 2010, the Orkney Storytelling Festival has evolved to become one of the most keenly anticipated events in the islands’ calendar, showcasing the talents of local, national and international storytellers. 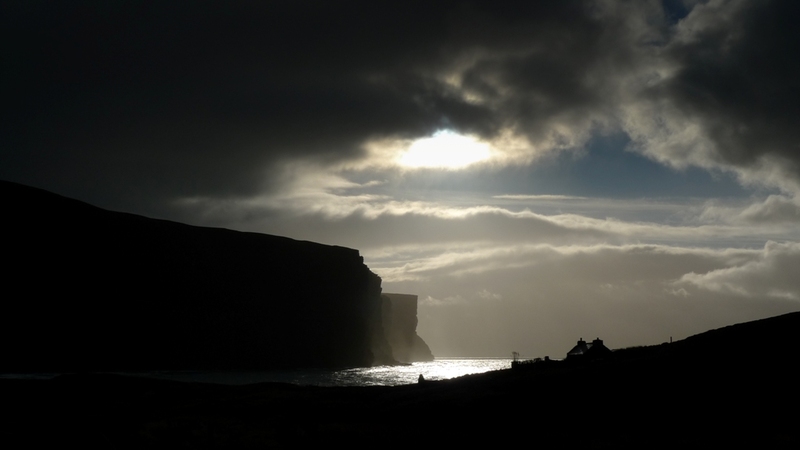 Orkney is, of course, rich in folklore, with our tales of mystical selkie folk, mischievous trows and malevolent stoor worms captivating – and occasionally terrifying – generations of islanders. To hear an Orcadian folk tale, or indeed a legend from another land, delivered live by a gifted storyteller, is certainly an experience unlike any other and one definitely not to be missed. 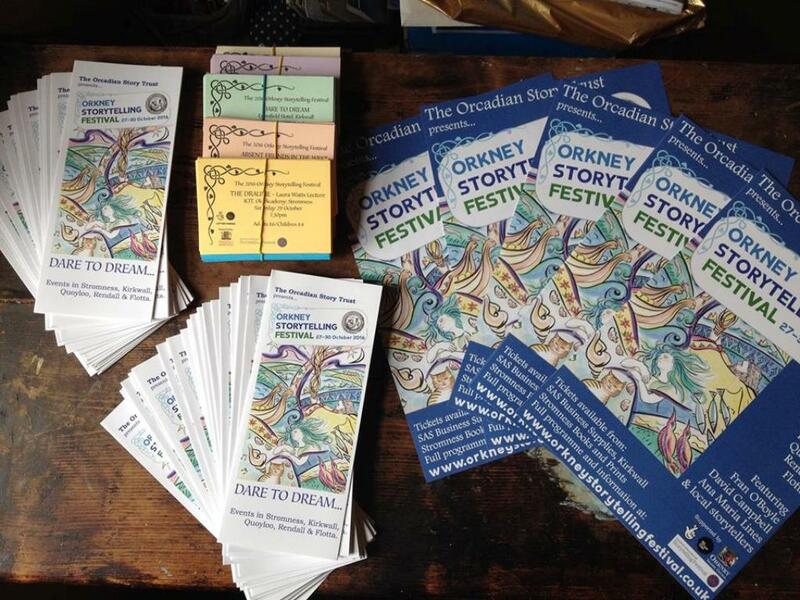 “Storytelling has got to be one of the very oldest of art forms,” says Fran Flett Hollinrake, storyteller and member of the Orkney festival’s organising committee. “It’s so simple, but it can be used to convey so many things. You don’t need props, PowerPoint presentations, or costumes. You just need somebody who can tell a good story and somebody to listen. Each Orkney Storytelling Festival has what Fran describes as a “loose” theme. With 2017 marking the 900th anniversary of the martyrdom of Magnus Erlendsson, it’s no surprise to discover our canonised Viking earl features in this year’s programme. “We never stick rigidly to our theme, but this is an important year because of the Magnus 900 commemorations, so we’ve gone a little bit with that,” says Fran, who also happens to be custodian of Kirkwall’s St Magnus Cathedral. 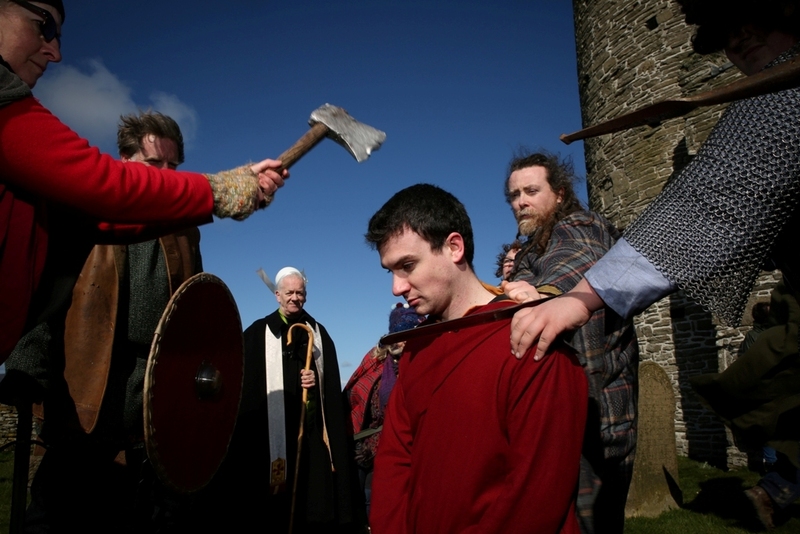 “For every festival we do what we call our island jaunt and this year we’re taking a storytelling session to Egilsay, where Magnus was, of course, murdered by his cousin Haakon. Continuing the saintly theme, festival organisers are bringing writer and broadcaster Nick Mayhew Smith, author of Britain’s Holiest Places, to Orkney to deliver a special lecture in St Magnus Cathedral. Also on the festival invite list are acclaimed storytellers, Hjörleifur Stefánsson from Iceland, Edinburgh based Ruth Kirkpatrick, and Sweden’s Jerker Fahlström. “A lot of what we know about Magnus comes from the Sagas and the Orkneyinga Saga in particular,” explains Fran. “It was written in Iceland, so having Hjörleifur with us in Orkney is our link to the Saga Lands. “Meanwhile, Ruth Kirkpatrick is very involved with the Scottish Storytelling Centre, where she trains storytellers and does workshops for children. Ruth also has a lot of family and friends in Orkney, so the festival very much represents a homecoming for her. Beyond the headline acts, the festival promises an engaging variety of story and folklore themed events. 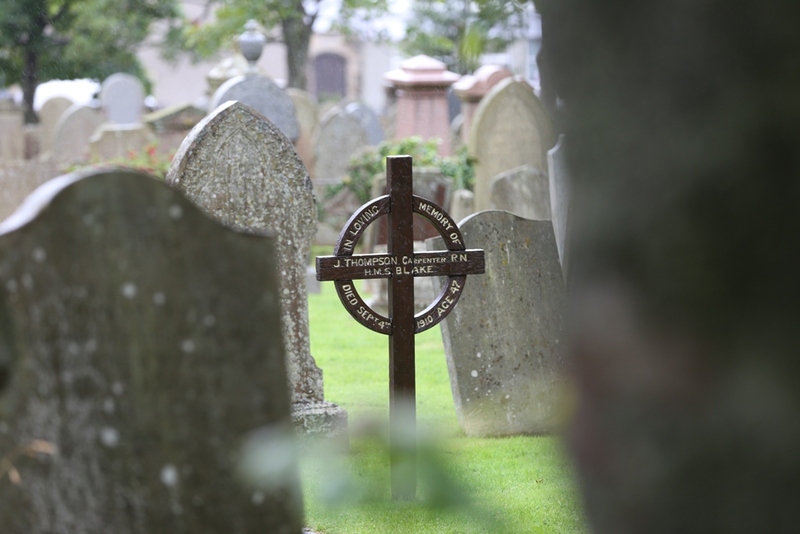 Fran herself will be delivering another of her popular graveyard history walks and there will also be open-mic sessions where anyone can stand up and tell a tale. According to Fran, the Orkney landscape also play an important part in making the festival a memorable experience for all involved. 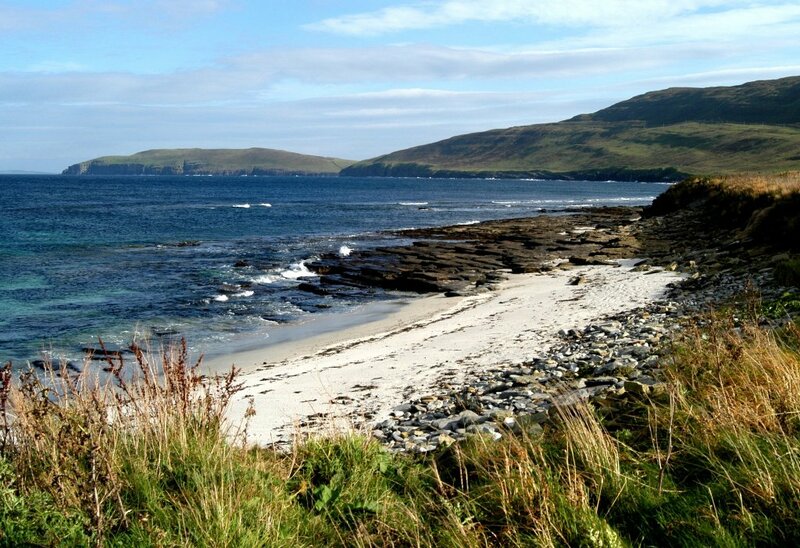 “Orkney always does its thing in late October,” she says.“It’s one of the reasons we picked that time of year for the festival. The clocks go back and there’s that sense of turning inwards. We come indoors, draw the curtains and have a dram by the fire while listening to a story. It’s a different experience to being in Orkney during the summer, with visitors in particular loving that opportunity to feel what it’s like to be part of our community in the autumn. For full details of the 2017 Orkney Storytelling Festival, which runs between the 26th and 29th of October, visit the official website. NEXT:Looking for a new start?